Juventus are ready to go all out to sign Liverpool midfielder Emre Can this month, according to sporting director Giuseppe Marotta. The German midfielder whose contract at Anfield runs out at the end of the season is free to sign a pre-contract agreement with clubs around Europe ahead of a potential move to the club in the summer. With talks of a new deal not progressing well with the Anfield hierarchy, the defensive midfielder has revealed he faces an uncertain future at Liverpool, although he is yet to make a decision on his future. However, with reports linking the contract rebel with a summer move to Serie A giants Juventus, the Turin club sporting director Giuseppe Marotta has confirmed that the Old Lady will do everything in their power to sign the wantaway midfielder. “Emre Can is a player whose contract is running down, so it allows us to approach him for negotiations and that is the course we have taken,” He also added. “I can’t say if he could sign a new contract with Liverpool, but I can say we will try all we can to get the player. Although, the 24-year- old suggest he is still keeping his options open despite reports in Italy claiming he has already agreed terms with the Serie A champions ahead of a potential summer move to the Allianz Stadium. ‘My agent is looking after everything but I am here until the summer,’ said Can. ‘I haven’t signed anything (with Juventus) or anyone. I am talking with everyone. Of course I am talking with Liverpool. Why not? I still have a contract here. It is an amazing club. He also added. 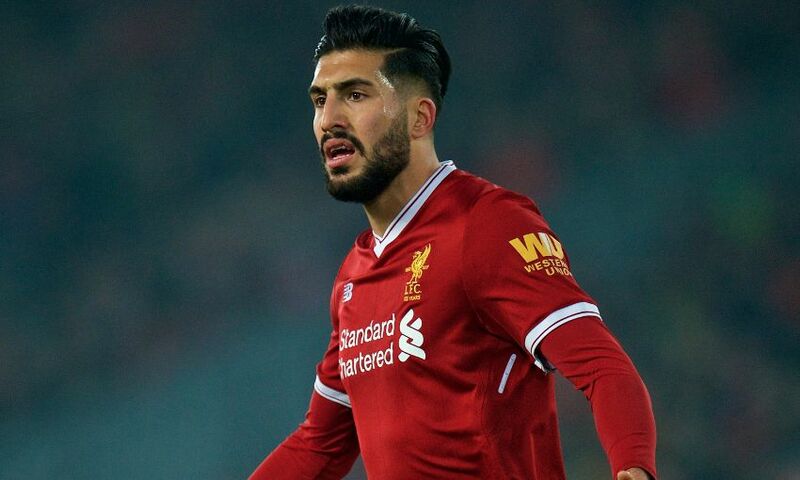 It is understood that Emre Can might be set for a huge payrise should he decide to move to the Serie A giants this summer with a £4.5 million per-year offer from the Turin club. A figure that will make him one of the highest paid player at the club. Juventus manager Max Allegri is believed to be a huge admirer of the German international given his work rate, eye for goal, awareness, concentration,long shots and ability to break up opposition play. It is believed he will be offered more playing time as Allegri see him as an important player for the Serie A giants next season and could be the long-term replacement for aging and injury prone Sami Khedira.